Remove the engine cooling thermostat housing. Refer toEngine Coolant Thermostat Housing Replacement. 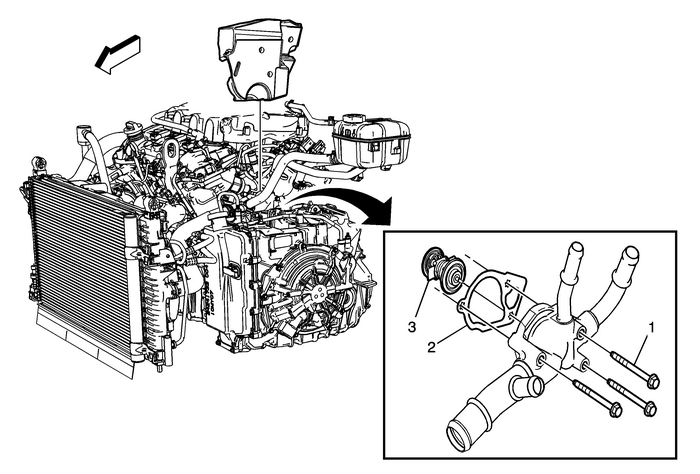 Tip:Clean the engine block and thermostat gasket surfaces.Replace gasket and any worn hoses.